become a successful blogger, how to gain more traffic for blog, get blog traffic fast, how to increase blog traffic. Blogging has become a competition now a days, every blogger wants to be no.1 and for that some are doing seo in there blog, some are adding gadgets, some are adding demanding content to their blogs, some are advertising their blogs and websites and doing much more to be popular. But the successful one is that who works smarter not harder. Actually we really don't know what impress the visitors some of the visitors are attracted by responsive design, some are attracted by gadgets and so on. If you have surfed many blogs in search of increasing blog traffic then I am sure that you must have read these words before "content is king". Yeah! its right content is king because content is the only purpose for which visitors search, those blogs which contains interesting content attracts more people than a blog having a copied or dull content and visitors only remember these blogs which contains interesting and useful content and those blogs become popular and are mostly searched in search engines, that's why before starting a blog you must think about an interesting category so that you may have an interesting content to attract people towards your blog. So keep an interesting, demanding and useful content in your blog to become a popular blogger. When we are talking about attracting users to blog then responsive design is one of the most important thing. Responsive design includes responsive sharing buttons, a neat and clean menu(as you see in my blog), responsive gadgets, responsive images(fade out images when hover or zoom on hover), cool follow buttons etc. So have a responsive designed blog. You can find some tricks and gadgets in this blog on the menu page. Add interesting gadgets and widgets to your blog such as back to top button, egg sharing buttons, label gadget etc. You can find some interesting gadgets here. If you don't find more interesting gadgets then try to customize gadgets such as an attractive popular posts widget. While designing your blog and making it attractive and responsive don't make it complicated because simplicity is also important. So keep it simple. Many bloggers make this mistake while trying to attract visitors that they add so many gadgets which congest their blogs and frustrates users. So don't make your blog complicated and congested, try to make it simple and attractive. Keep a simple and clear navigation in your blog. For example categorized posts, make pages such as an about page which explains your blog, a contact page through which visitors can contact you, a home button, posts pages etc. If you don't categorize your blog content then it will be difficult for visitors to find desired posts in your blog e.g if a visitor is searching for tips or tricks and your blog doesn't have a clear visible label or tag then he wouldn't be able to find it and search somewhere else in other blogs and websites. So add neat and clean menu or labels with tags in big font size so that visitors don't have any problem in finding desired category. As we know that blogging is a good way to earn money and now a days many people are blogging just for money and for that purpose they don't care about anything and try to increase their blog traffic to earn a good revenue and in this greed they add pop-up ads, in-page ads, blog entrance ads so when any user visit their blogs all the ads open and the visitor gets angry and never come back to that blog. Some people add advertising in such a way that no matter where ever you click pop-up opens, so avoid adding pop-up, in-page and blog entrance ads. You might have seen on many blogs that when you open them a pop-up box opens either a Facebook like box, an E-mail subscription box, sharing boxes etc. Bloggers add these boxes in order to get more fans on Facebook, twitter or have more E-mail subscribers but it is not helpful, its a foolish idea because it not only frustrates visitors but also slows down your blog performance. So don't add any pop-up box, although if you want to increase your fans then try doing it in simple way by adding simple follow, share and E-mail subscription box in layout. If your blog is famous and you don't have a page translator in your blog then add it immediately because if your blog language is English then those who understands English will read your blog but those who don't understand English and want to read your blog won't be able to read your blog, so add a page translator to your blog which lets visitors to change your blog page to their own language. You can add Google page translator to your blog from layout. Music is liked by most of the people and you can use it to attract visitors by adding either directly a background music to your blog which starts playing when blog opens or a music player which is played by visitors(having a stop or play button, so that if a visitor don't like music he can stop it). Try to add some good songs e.g Linkin park, Red, Justin bieber, Eminem, Miley cyrus etc because many people know them and like their albums, you can also add tunes or instrumental music instead of songs if you are not sure which song would be better. You can learn how to add a music player here. If instead of applying all above tips to your blog, you don't get enough visitors then it means that your blog isn't popular and you have to spread it so people could reach your blog therefore you have to apply seo(make your blog search engine optimized) in your blog to help search engines send you more visitors. You can read a full seo tips article here. I don't have more tips but whenever I will have more tips I will share them with you. If you like this post and want to thank me for sharing this then share it with others on Google+, Facebook or twitter. Follow and subscribe to newsletter for latest tips and tricks. If you think that this post is good then try more posts below and share your opinion with me by leaving a comment below. 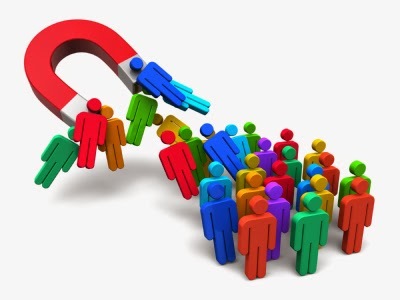 Search Tags: Tips to attract more visitors to your blog and become a successful blogger, how to be a successful blogger, 101Helper tips, blogging tips, how to gain more traffic for blog, get blog traffic fast, Free tips to attract visitors to blog, how to increase blog traffic.